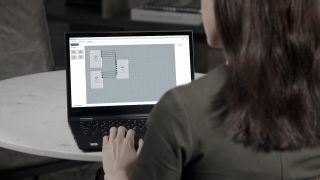 The What: Shure has launched the newest 3.1 software release of its Designer System Configuration Software application, designed to help ensure professionals are equipped with the latest solutions to help design remotely and collaborate effectively. The What Else: This new version of Designer supports an expanded portfolio of Shure products, including Microflex Advance MXA910 Ceiling Array and MXA310 Table Array Microphones, P300 IntelliMix Audio Conferencing Processor, and ANIUSB-Matrix USB Audio Network Interface. Designer was developed to better visualize and implement installations. As one single tool, the software enables smooth synchronization in real-time with audio routing between Shure networked products. It empowers AV professionals to better determine the suitable device type and accurate microphone count without physically being in the space. Before beginning a project or installation, users have better control over the design process with the ability to import floor plans and configure audio coverage and routing while also being able to create and reuse room templates across multiple locations. This lets project design cycles to be expedited while also delivering superior quality. The Bottom Line: Designer provides users with one tool to design and commission system installations, enhancing the performance and usability of Shure products, while reducing onsite configuration time. Designer System Configuration Software version 3.1 is available now. To download the free software, visit www.shure.com/designer. Designer can be installed on any computer running Windows 7, 8.1, or 10.